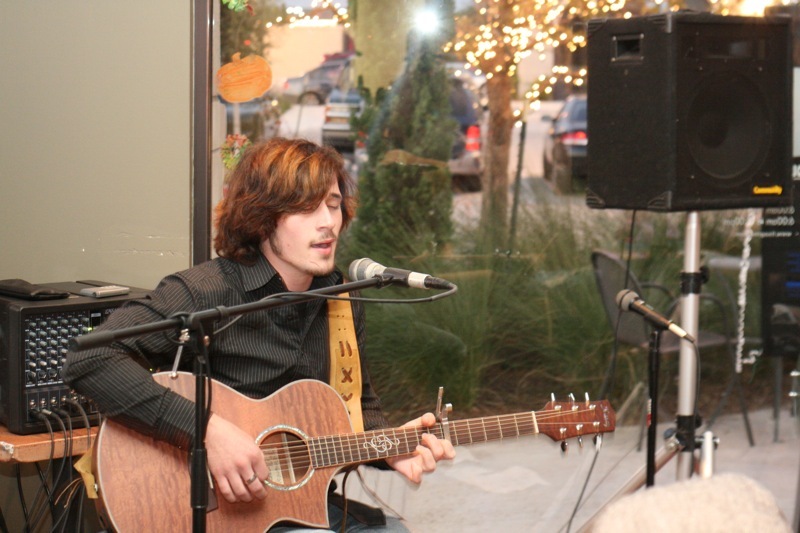 My brother Jono has played and sung many times in many places, but September 21, 2007, was the first time he was the solo act. He played some originals, and covered some covers. I actually thought at least one of the covers was better than the original, but of course I'm biased. Oops! Flash in the window.